For many of us in the digital marketing sector, Google is a vital tool and I know many, if not all of us, wouldn't be able to survive at home/work without it. Regardless of this, I don't really know how I feel about the search giant knowing so much about me I barely need to engage with it. With the information that Google knows about us, it's getting better and better at suggesting things we might need to know without us actually asking for it. Google's "contextual discovery" will gather your personal information from all the Google apps you use, complimenting this with data derived from your GPS and past searches. The end result of this is Google knowing what you like to do, eat, watch - the list goes on. 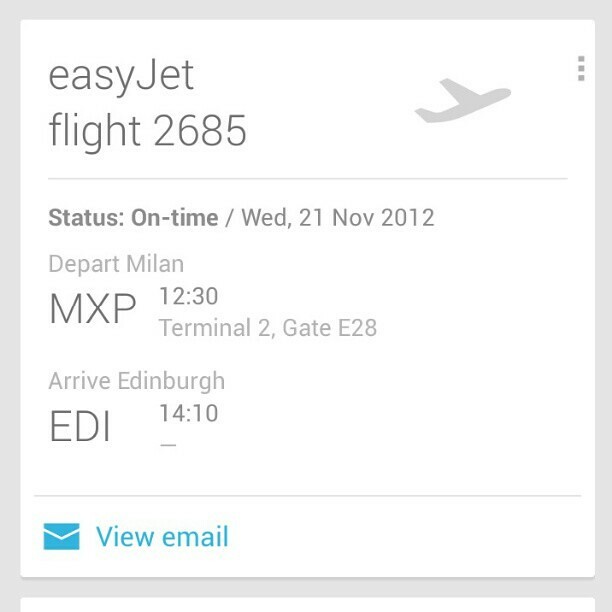 Let's say for example you booked a holiday through your Gmail account, your Google Now app will send you a notification card that will tell you all the relevant information you need to know about your flight, hotel and wherever it is you're visiting. The app will also be integrated with your social platforms and use information from your friends and circles to recommend things for you. Look at it this way - you'll never forget a friend's birthday again! With the combined calendar from Google, you'll be notified when there's a birthday coming up and you'll be given suggestions for relevant gift ideas. You don't even have to think. You now have an artificially intelligent personal assistant. Amazing right? Or is it? Since technology is coming to a stage where we can have things done for us before we've even thought about them, it seems as though we don't have to use our beloved brains anymore. Everyone will have their own opinions on apps such as Google Now, but personally I don't think I need another app to enhance my laziness and would probably prefer to search for myself (Google probably already knows this). 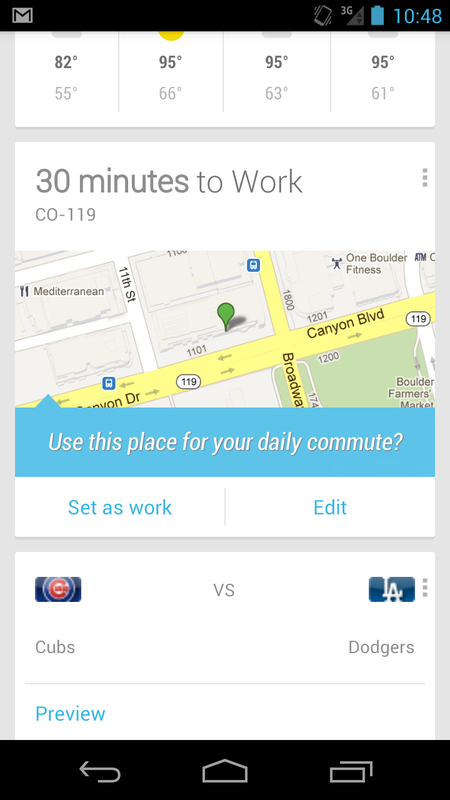 Other apps that are taking a similar approach to Google Now are Aviate and Humin. To give you a quick outline, these apps also use your personal information to ascertain what you might need at a certain time. Aviate, brought to us by Yahoo is an android app that changes your home screen depending on where you are and what you are doing. 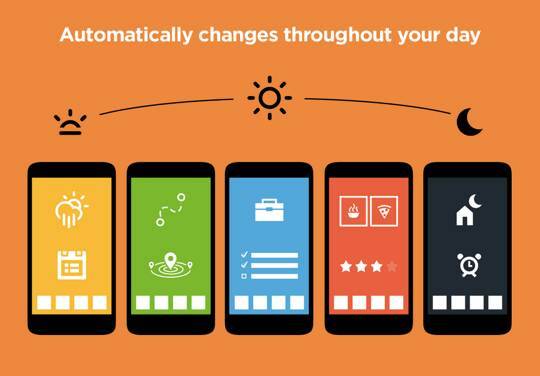 It rearranges your apps depending on what it believes you will need at certain times. For example, if you were in the gym it would move any of your fitness apps to your home screen. Similarly, with Google Now - while on your way to work it can show you the route and warn you of any traffic or disruptions that may affect your journey. Obviously, whether we choose to embrace these apps or not, is a personal choice. But they're only getting smarter and this progression has some interesting implications both within marketing and beyond. Humin is based on your phone contacts, it looks to rearrange your contacts in a way your brain would organise them. So it will know where you met a specific person and how you know them. You can then search for a contact based on these facts. This app is also used alongside social channels to give you any further information you might need about that particular person. It has the ability to tell you when a certain contact is visiting your home city, or if you have a meeting, it will provide you with information for the person you're meeting. It also has a "humanise" feature that allows you to store any contextual information you might need on an important individual. It can also show you any contacts that you might have in common or oppositely the ones you may benefit from. It works in a similar way to a social platform with regards to your contacts and categorises them quickly and efficiently - without any manual user input whatsoever. One last thing I want to touch on from Martin's presentation is the new "quiet social" craze. A trend that's supposedly more common among the younger generation. Evan Spiegel's innovative app Snapchat seems to have taken over the lives of many of our teens, and although it's somewhat shameful to admit; I'm one of them. 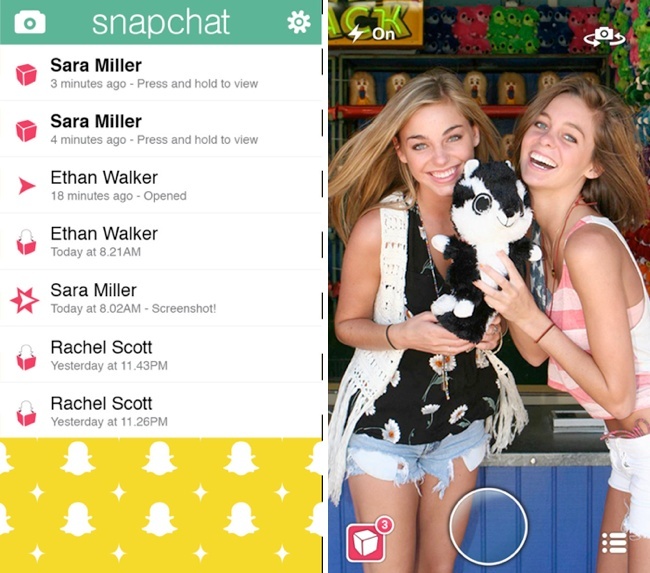 Snapchat allows you to send images or videos (snaps) to your friends, with the additional feature of adding text or drawings. A main feature of this app is that these 'snaps' are only accessible for up to ten seconds, and then they "disappear". But do they? We don’t exactly know what happens to the images that are sent through this app, maybe Evan has a good laugh at them in his spare time - who knows. But I think it goes without saying that they don't simply vanish. There has been Numerous investiations into the privacy settings and it has been found that images aren't necessarily deleted and are in fact saved in "folders". Again, this doesn't exactly sound very private. There have also been other criticisms about Snapchat encouraging sexting between teens and some have claimed it isn't a safe network. As with any new technology, there are going to be people that will look for something to complain about, but with regards to the digital world, I think that safety is paramount. For more on Snapchat sexting and other controversies around the app check out The Guardian's 10 things you should know about Snapchat. Other apps that are adding to this idea of "quiet social" are the likes of Whisper and Kwikdesk. Personally I like the idea of the anonymous self-expression that both these sites are based on. Whisper is aimed more at image-based expression and these are uploaded with overlaid text, such as a confession or a general rant. Images are then found through hashtags (#confession). On the other hand, Kwikdesk simply involves writing a passage up to 300 characters long that can only be found by searching a specific hashtag, so unless someone searches for your hashtag, your post won't be seen. This idea of "quiet social" attracts many of us as it seems as though we can send out whatever we want and it just vanishes, leaving no online footprint. One thing many of us forget is that information on the internet isn't forgotten and doesn't merely just disappear. As the old adage goes, if something is free - it's likely that you are the product. If you would like to know more about reputation management online, feel free to contact us today. Don't forget to leave a comment - we'd love to hear your views on any of the topics we've discussed above! Images courtesy of Anna Brix Thomsen, Luca Conti, Tama Leaver and Cody Lee on Flickr.